A stylish wine aerator and tower set from Vinturi, instantly improving the flavour and smoothness of your wine. The perfect tool for when hosting a dinner party or relaxing after a long day, this wine tower set can instantly improve the value of your wine. To use, place your glass at the base of the tower, with the aerator placed above into the holder. 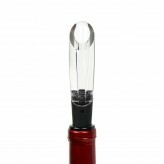 With your bottle of wine, pour the wine through the aerator to aerate. 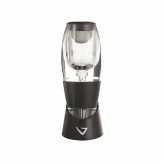 You can also use the wine aerator separate from the tower as this set comes with a non-drip tray for spill free aerating. 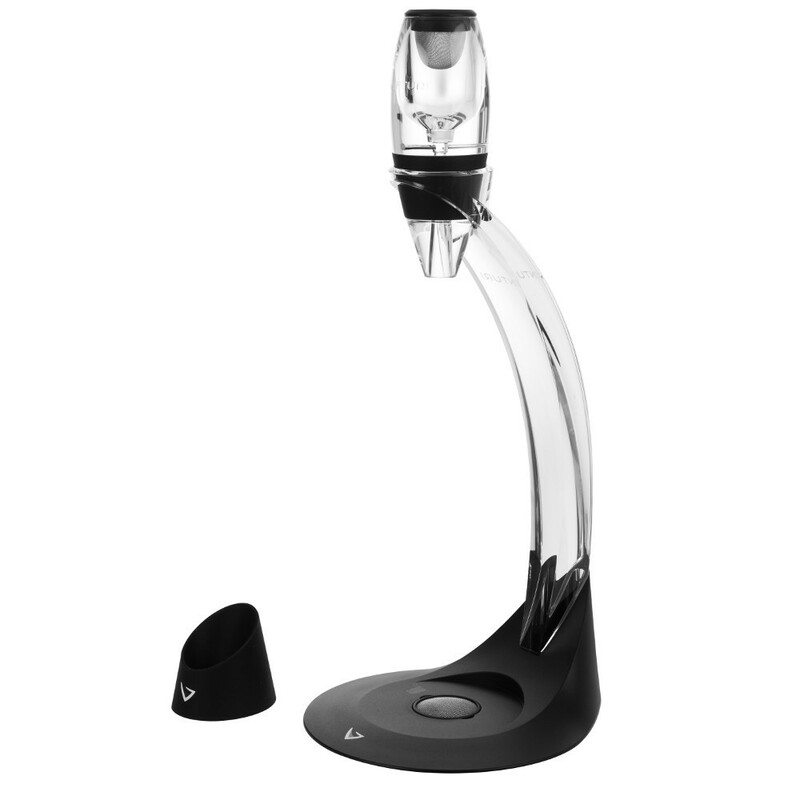 You will know that the wine aerator is working when you hear the unique sound of air being infused with your wine. We recommend washing before and after every use, while the wine aerator and tower set is dishwasher safe on the top rack. Vinturi comes with a 10-year guarantee. 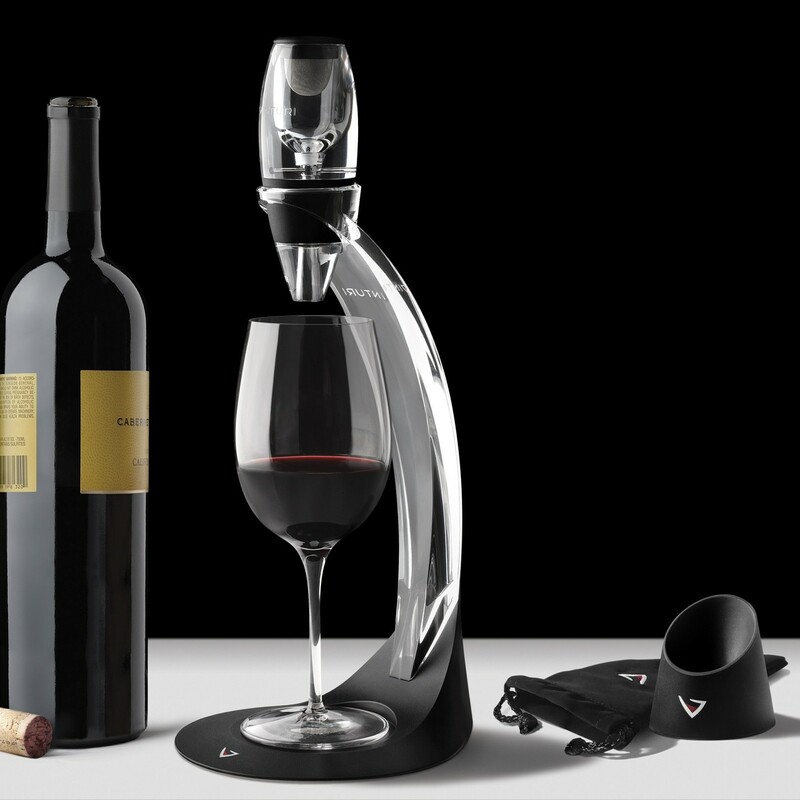 A red wine aerator and tower set, promising perfectly poured wine every time.